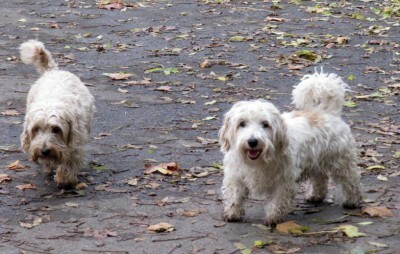 How can you miss the opportunity for a nice walk in a park? These are probably the last warm days of autumn!Autumn is a perfect time to be in London: the weather this year has been particularly mild, but to be honest – despite what many tourists think – I have never experienced an autumn which was very cold or unbearably rainy. Even if it gets its good share of rain, London can often offer you wonderful sunny days and a day out is a very tempting option. If it gets a bit wet it’s a perfect excuse to find a nice cafè and spend some time waiting for the sun to come out again. 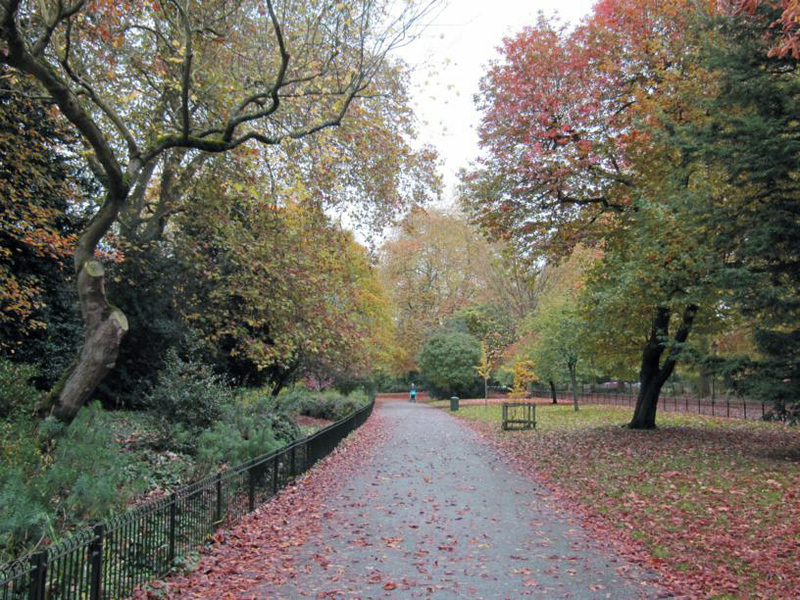 But, most of all, autumn is the ideal season to enjoy London’s parks in all their beauty, with colours in abundance and views to make you scream for a good camera. 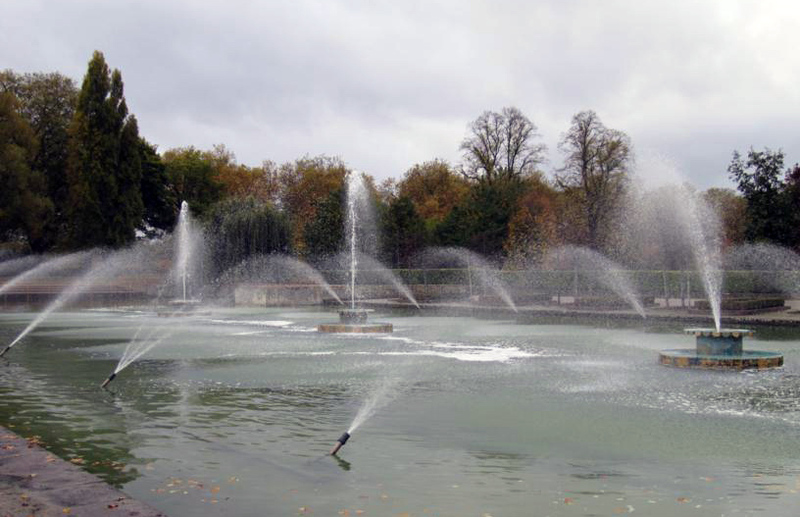 For once, I’ve decide to forget the most touristic destinations, and choose a park off the beaten tracks: Battersea Park. I know you have all heard of it, but if you haven’t spent some time in it, this is the perfect time to do it. At weekends Battersea Park is a heaven for families and rightly so: a playground for toddlers and a better adventurous section for older ones, a children zoo, abundance of playing fields for football or rugby enthusiasts, practicing fields for cricketers, funny sit-down bikes for hire, a lake with boats to rent. Battersea Park has it all. 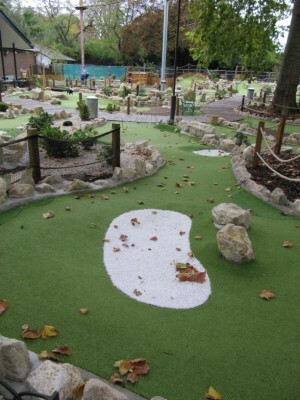 It also hosts a sport pavilion, plenty of tennis courts and a modern mini golf course, called “putt in the park”. On Saturdays and Sundays you can see local families enjoying this fun packed park, which often hosts a funfair too, and many come from further away, from the baby friendly area of Northcote Road or from Chelsea, which is lacking a real park, if you come to think about it (and it cannot be really called baby friendly either). 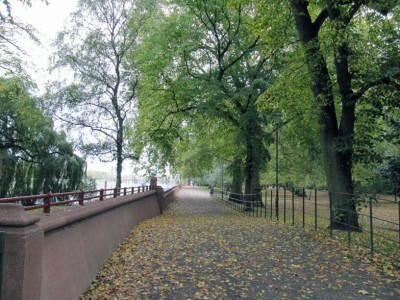 During the week Battersea Park becomes a real oasis of tranquility, where you can stroll around at leisure, enjoying the marvellous corners of the Sub-Tropical Gardens, the paths around the lake, the lovely riverside promenade – particularly nice at sunset – , the relaxing Peace Pagoda. 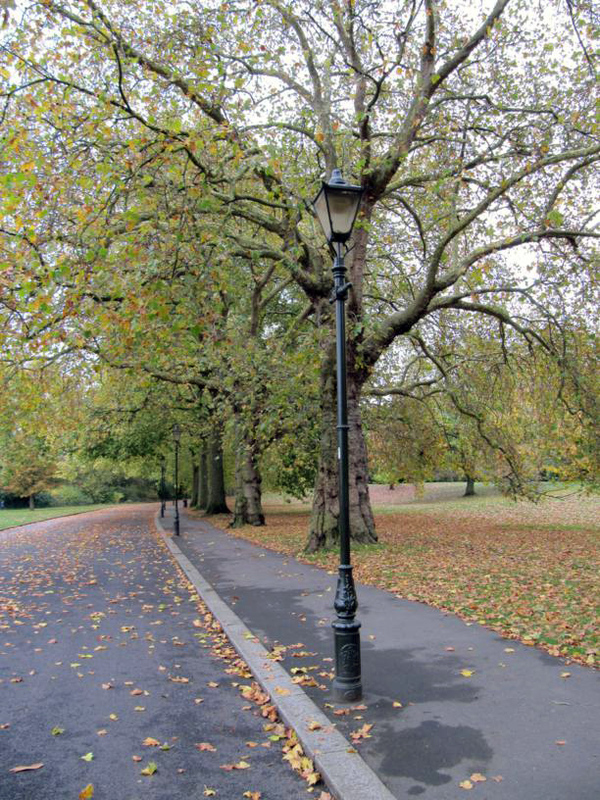 In Battersea Park you can always find a nice place for yourself, to admire the view, read a book or listen to some music in total relaxation. No wonder that so many people come to this park for practicing yoga: it seems a perfect background for your poses. Did you know? 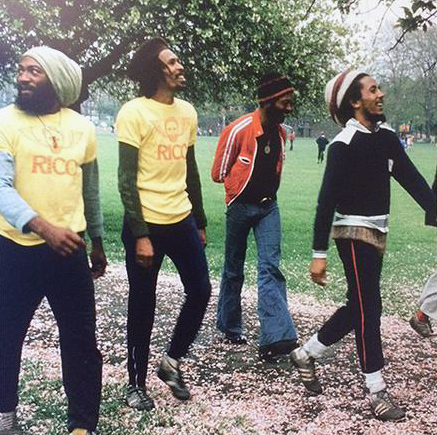 Music lovers will be pleased to know that Battersea Park was the playground of Bob Marley, who often left his instruments in his flat in Oakley street – Chelsea-, crossed the beautiful Albert Bridge and came down with his friends to play football on these playing fields. Other music experts – the Pink Floyd addict type – will recognize in the distance, but partly visible from the park, the iconic shape of Battersea Power Station, immortalized on the cover of the album Animal . 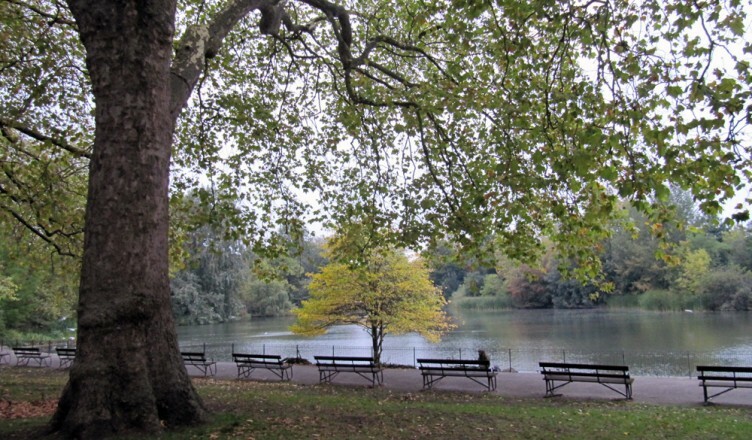 Soon Battersea Park – how soon depending on Transport for London, permissions, and work programmes – will also have its own underground station, but for the time being it is still more difficult to reach than other London parks. This has its advantages: a less crowded park (particularly during the week) and a local feeling that you cannot find anywhere else. It is still easy to reach by bus: if you come from Kensington or Chelsea you can take the bus 452 from Knightsbridge, Sloane Street or Sloane Square and stop just after Chelsea bridge, at the Chelsea gate. You can reach the same bus stop from Victoria with the bus 44 (direction Tooting). If you come from the City, you can take the bus 344 from Liverpool Street, from Fenchurch street or from Southwark Bridge. The nearest tube station is Sloane Square (district and circle lines). From the tube station you can go straight and turn left (around the Hugo Boss shop) on Lower Sloane Street, where you can take the bus 452 or 137 at the bus stop M.
If you get into the park from Chelsea Gate you can walk straight along the north carriage. On your left you will find a path that from the main road will take you around the millennium arena. When you get out on the eastern carriage drive go towards the lake, walk around the restaurant La Gondola and follow the path that along the lake (leaving it on your right hand side). You can continue walking along the lake on its southern side, where often fishermen can be seen with their gear. Ducks and swans in abundance float undisturbed on the water surface: it’s a nice spot to take a break and admire the view. At the end of the path turn right and follow the circular route around the sub-tropical gardens. 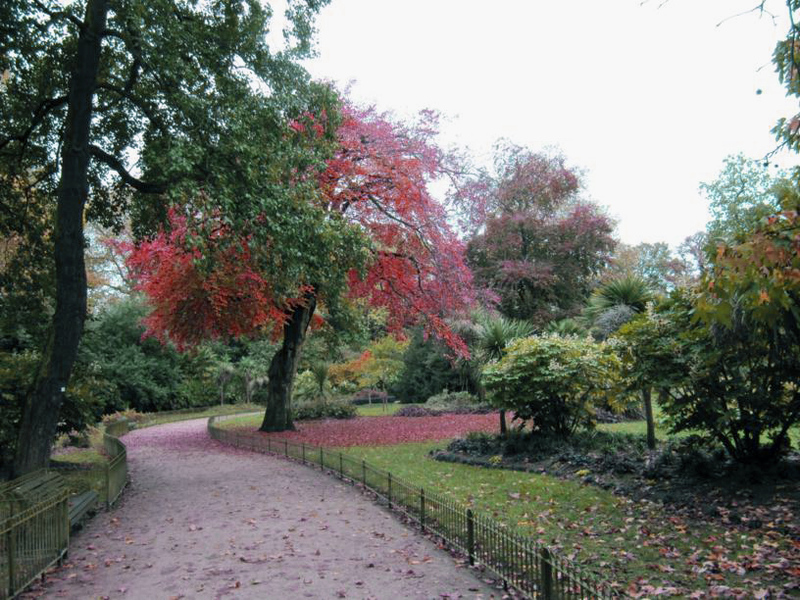 This is the area where you can see the beauty of the autumn colours at its best. Walk around the circular path and on the other side go straight on the path (probably more muddy, in this season) that follows the lake. Walk around the Ladies Pond and come back towards the centre of the park. 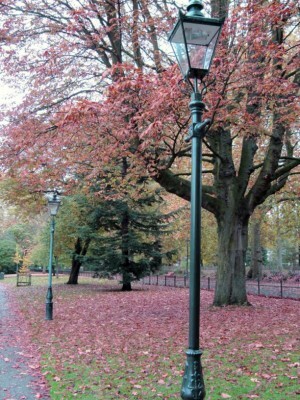 On you right you will see the path leading to the band stand. 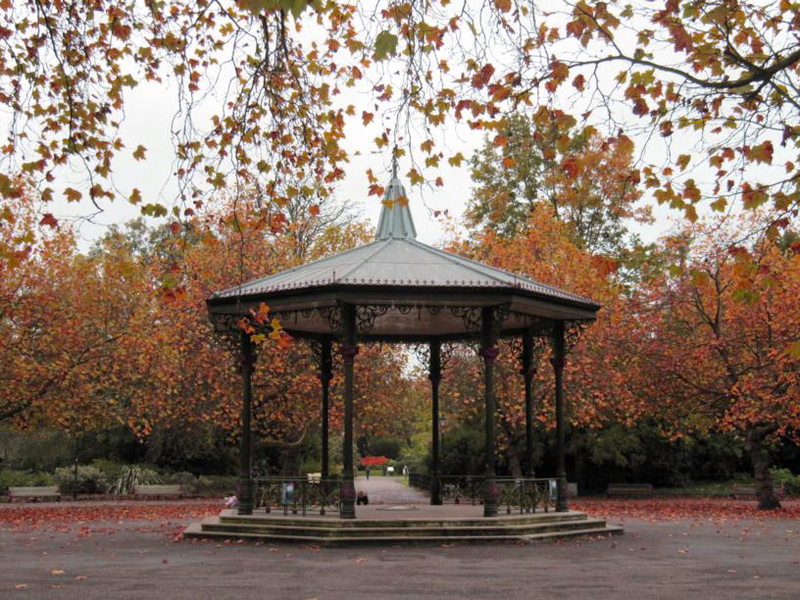 The band stand is often the centre of the activities in the Park: it’s not unusual to find bands playing during the week end; on week days is a very quiet spot. If you carry on north you will reach the vast expanse where the water fountains are. 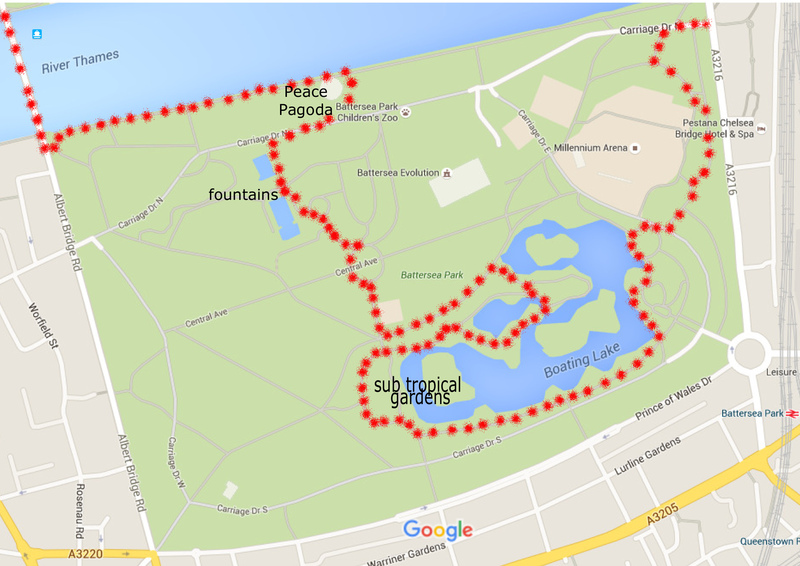 This area was established in 1951, when Battersea Park hosted the Festival of Britain pleasure gardens, marking the anniversary of the great exhibition of 1851. 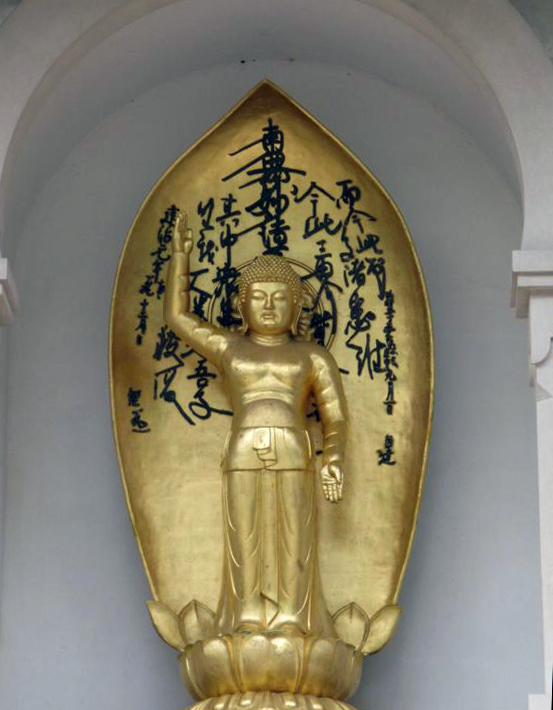 Following the steps that take you to the northern carriage drive, you will see the Peace Pagoda. Did you know? 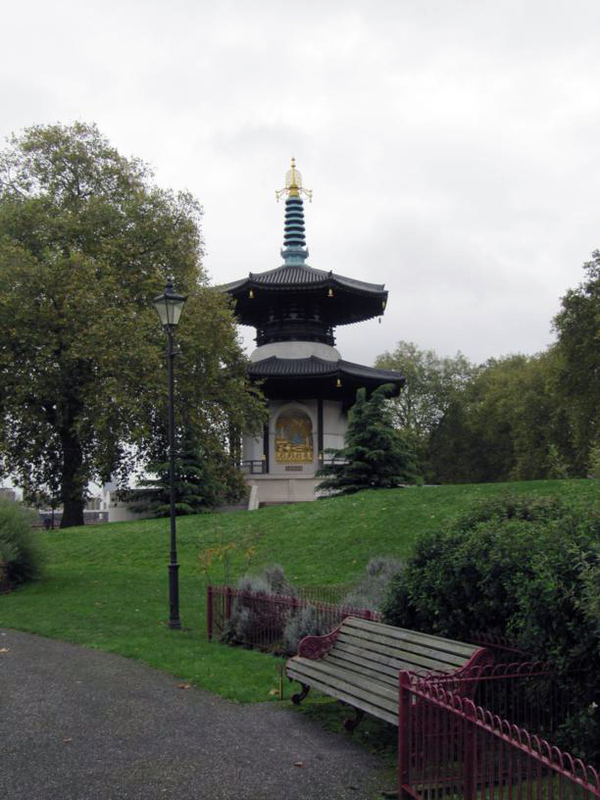 The Peace Pagoda is certainly one of the landmarks of Battersea Park. It was built between 1984 and 1985 and was inspired by an important figure in Buddhism, the Most Venerable Nichidatsu Fujii (1885 – 1985), and active pacifist who worked with Gandhi in India in the 1930’s and fought against the use of nuclear weapons after the bombing of Hiroshima and Nagasaki. The Pagoda is decorated with 4 golden images of Buddha, representing four different stages of his life. 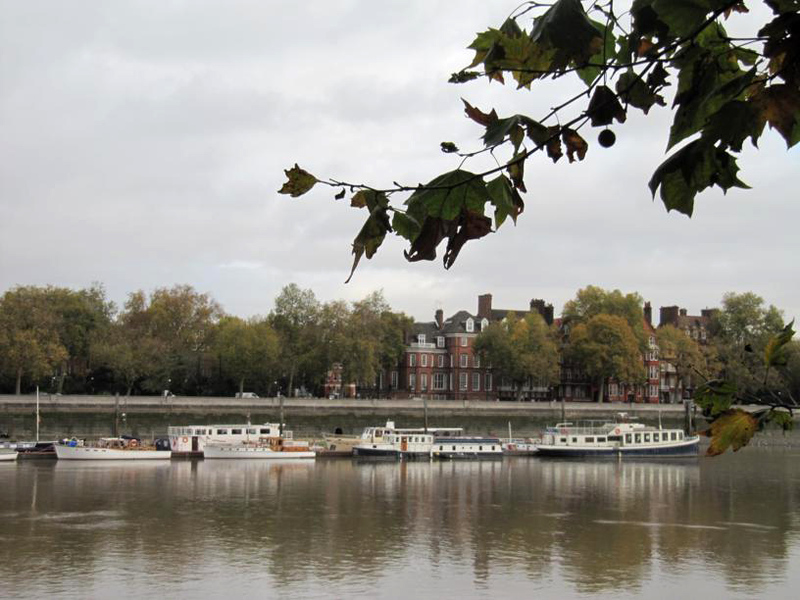 After this spiritual – or simply relaxing – break at the pagoda, you can follow the riverside promenade, where you can have nice views of the Chelsea embankment and the boats moored at Cadogan Pier. I always feel some sort of envy for those living in this beautiful river boats and houseboats: they are in a fantastic central position, with a wonderful view of the Albert Bridge, the green Battersea Park at a short distance, lovely sunrises and spectacular sunset right on their doorstep. Then I think about the damp mornings, the unpracticalities of some of these dwellings, the exorbitant mooring fees and the freezing winters, and I feel much less jealous. But in autumn, I really envy them! 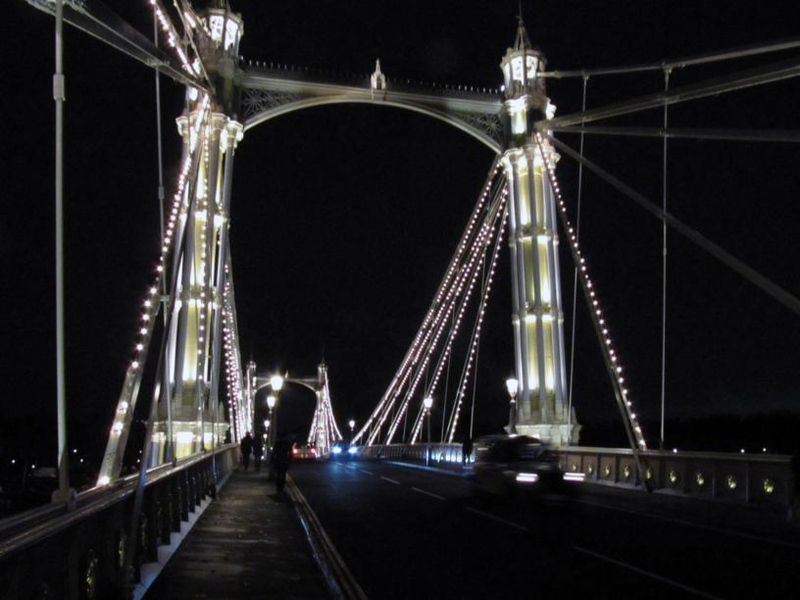 At the end of the promenade you reach the beautiful Albert Bridge, one of my favourite bridges in London, particularly impressive in the evening, when it is lit up by thousand of lights (today replaced by cheaper and environmentally friendly LEDs). Did you know? 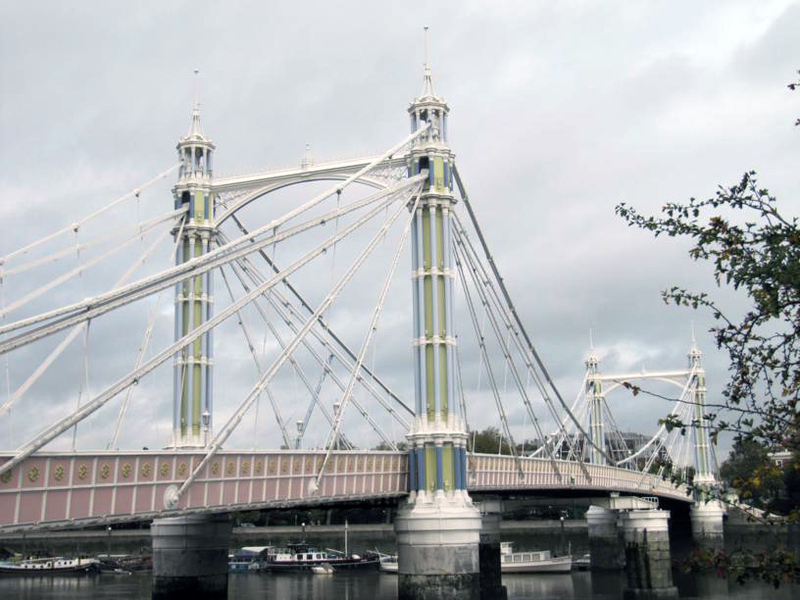 Albert Bridge is often called “the trembling Lady”, because of its vibrations when many people or vehicle pass over it: you can still see signs at both ends asking marching troops to “break steps” not to damage the bridge stability. 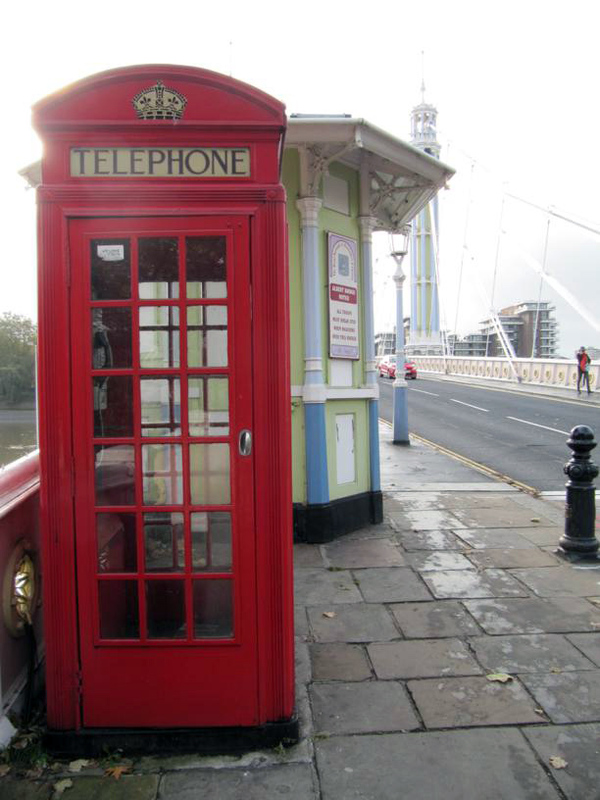 You can also see the booths which were initially used to collect the tolls, but these were soon lifted because commercially the bridge has never been really successful. From the bridge you can have very nice views of the Thames on both sides and you can have a last glimpse of the coloured leaves that make Battersea Park so beautiful in Autumn. To complete your tour, you can cross the bridge and continue straight onto Oakley Street (for those who are interested, Bob Marley lived at number 42: this is where he composed I shot the sheriff) until you reach King’s Road. Turn right on King’s Road and on the left hand side take the first bus back to Sloane Square (11, 19, 22 and 211 all stop at Sloane Square). Wasn’t it a nice walk? 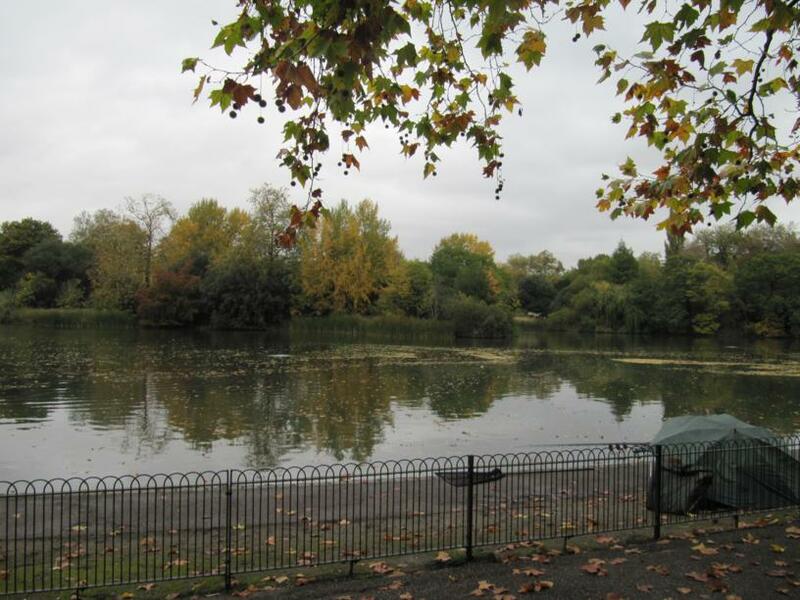 Did you like Battersea Park? Leave your comment and let me know!